I love this passage, Rolland Baker’s introduction to Heidi Baker’s book, There is Always Enough.I find it a beautiful and inspiring description of the kind of Christian life which is possible to us, if we but believe. Thanks Anita, I think that's good advice. Thank you, Ian, and blessings to you as God continues to lead and bless you on your road full of difficulty and blessings. You write well. Each of us has our own unique writing style given us in accordance with the readers God wishes us to reach! @ Tim, sometimes one needs to feed oneself, and follow a private path of spiritual nourishment which is not the one promoted from the pulpit and by the church. My current church is not charismatic, but I find myself excited and stirred by writers such as Bill Johnson, Heidi Baker, John Arnott, Patricia Bootsma etc. So I am reading them, privately,and praying for a renewed filling of the spirit. I co-lead a group, and I am sure it will all overflow there eventually. Perhaps you can deepen contemplatively privately, and thus enrich your church with another spiritual stream? WOW! I do love Your Blog so! I wish I was able to write like you do. I just Love reading through your Blog and though some of the posts I choose to read have been from last year, He(Love) The Father has spoken to me through them. This one and the other one about Heidi Baker's book, I like very much. I have been held in the book Matthew Chapters 5,6,7 for quite some time, with the odd brief visit else where. I'm sure this is true of us all, I keep hearing it seems a voice (Not audible) calling me. 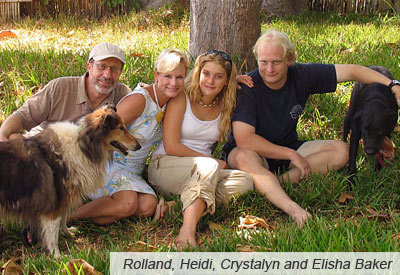 Yesterday as I read your Blog and what you said about Heidi, these word's entered my heart, Deep calls unto deep? I know now it's a Psalms. My small efforts to help my Homeless family do at times seem like I'm passing them an empty cup saying here you go use this for when it rains and you get thirsty. Pretty much of little help. Though to be fair, I know I am being used in a small way. My heart aches for them and I feel God is going to do something significant with the UK's Homeless. I think I'm being invited to by Him (Love) God to participate with Full life engagement and surrender. I could go on and share what I believe about that, however reading your blog has confirmed that I'm being led down a certain preplanned route. I like too, that on your blog you mention whispers, as I often refer to Him(Love)God whispering to my heart too. Anyway Just wanted to say I like visiting with you at your blog home here. Oh and I have ordered the Book from Heidi. Every Blessing to you, your Family, and to your readers. That does make sense. Two of my favourite writers are St John of the cross and madame Guyon. They describe that contemplative spiritual path which isn't often discussed in my church setting (pentecostal). The profound inner surrender is very much a response to a steady revelation of divine love, and often seems to come through inner pain and even perceived or felt distance from God. Tim, I am far from reaching this myself–and so it spoke to me as a beautiful vision. Of course, it is a process. Everything in the spiritual life is. A mustard seed slowly grows into a tree. 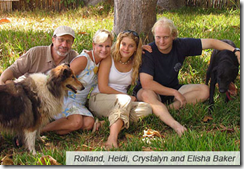 Absolute surrender and obedience hasten the process; but yes, we only grow into happy faith slowly–and since few of us surrender as deeply as Rolland and Heidi, few of us perhaps experience their level of spiritual happiness! I appreciated reading this – thanks for posting. I'm certain this is a true description of how God intends us to live however I wonder; to what extent are we just a step away from this “if we but believe” and to what extent is there process involved? I am challenged to search for this level of abandonment to the love of God but I'm aware that all of the doubts and fears that cause me to stop resting and trusting are, and will be, continually tested.